Do you need to arrange for items to be posted to you from outside the UK? Parcel Station can help that. We have partnerships with leading shipping providers across the world. This means that we can help you to generate mail back labels from across the world, back to you, without any cost to the senders. Do you sell online? Are some of your customers in Europe or America? With our software, you can create a returns shipping label for them to attach to the parcel, at better rates than they would get from the post office. 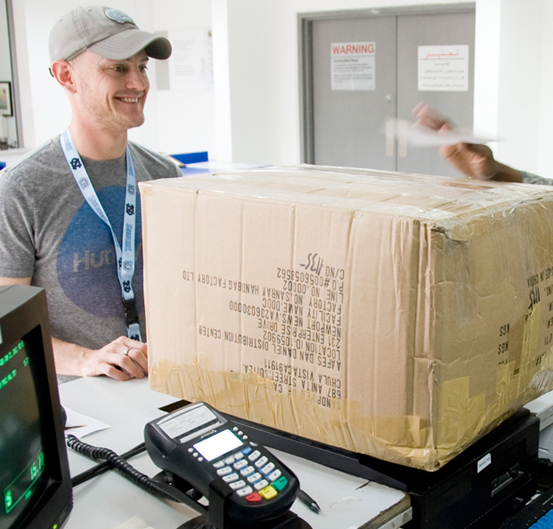 This reduces the amount of money you need to lose on the transaction, as you needn’t refund the cost of shipping. We can even help you to prepare a range of options, depending on the country of origin and the size or nature of the product. Just as we can help you with outbound mail, Parcel Station can help to prepare a range of options to get your mail to you whilst saving you time and money! Call us now to discuss the services we offer to save money on mail coming to and from you.